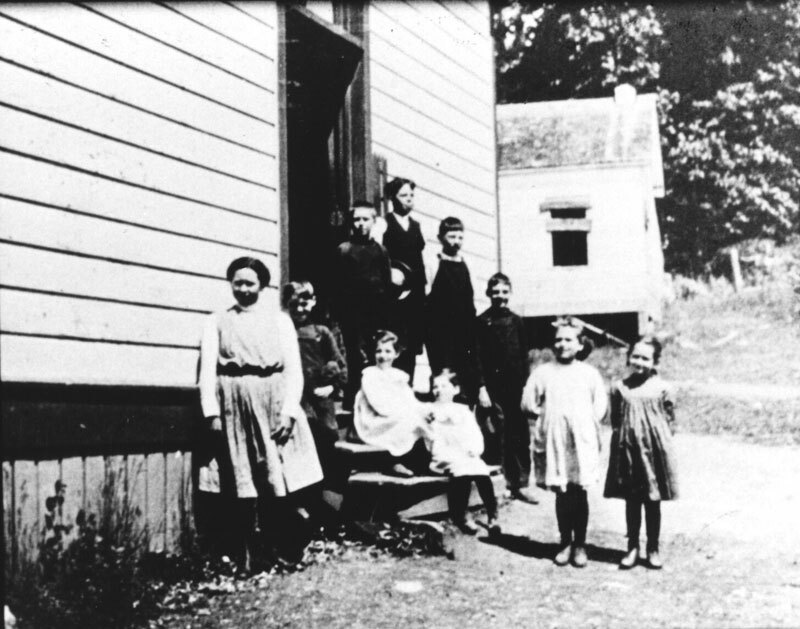 School children on Gabriola have been fortunate to have had access to elementary education for over a century. 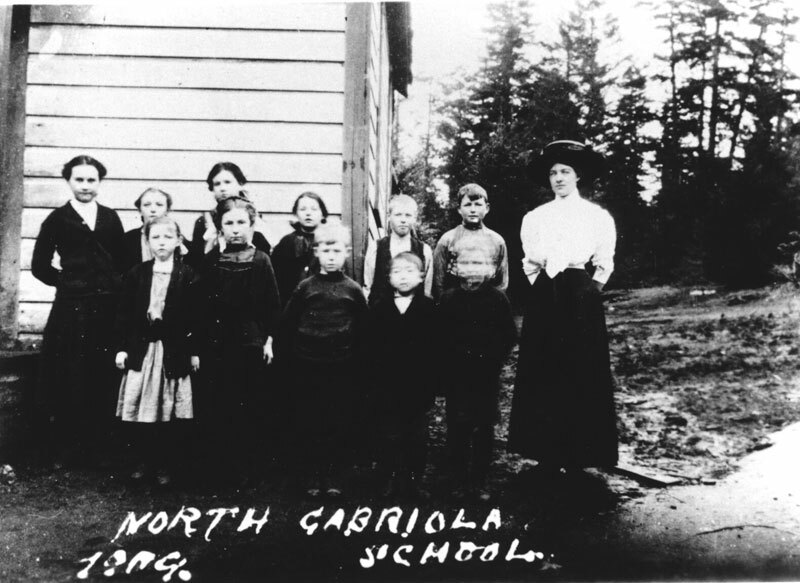 The North Gabriola School, the South End School, and the present-day Gabriola Elementary School have ensured that Gabriolan children had the foundation required to succeed. 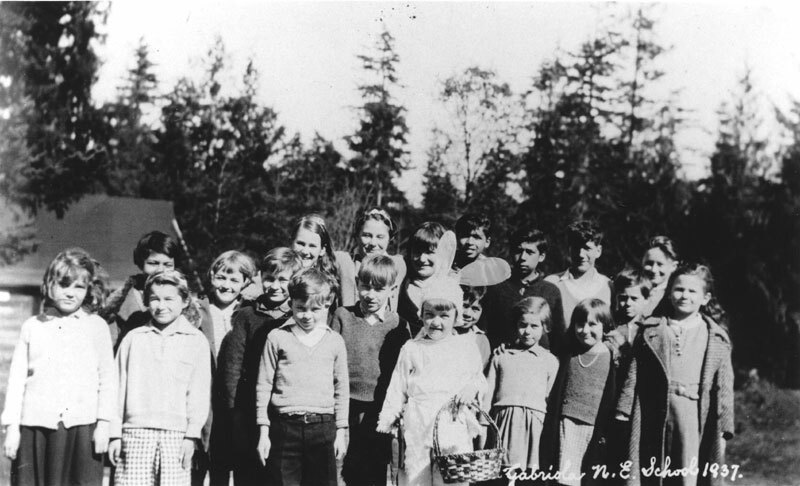 Secondary school was not an option on Gabriola, so older children were required to attend high school in Nanaimo, coming home only on weekends. Once ferry service became more frequent and regular, high school students were able to commute to Nanaimo for secondary education. Extensive information on the history of Gabriola’s schools is on display in the Museum. School records are also available in the Museum’s Archives. Photo of the South End School in 1908 with school children out front. On the back: "Teacher and students South End School 1908." On a label originally attached to the back of the photo: "Boys L. to R. Eddie Degnen, Eddie Silva, Dorby Gray, William Gray, Arthur Degnen, Girls L. to R. Betty Degnen, Ethel & Elsie Gray, Lydia Degnen, Nellie Degnen." 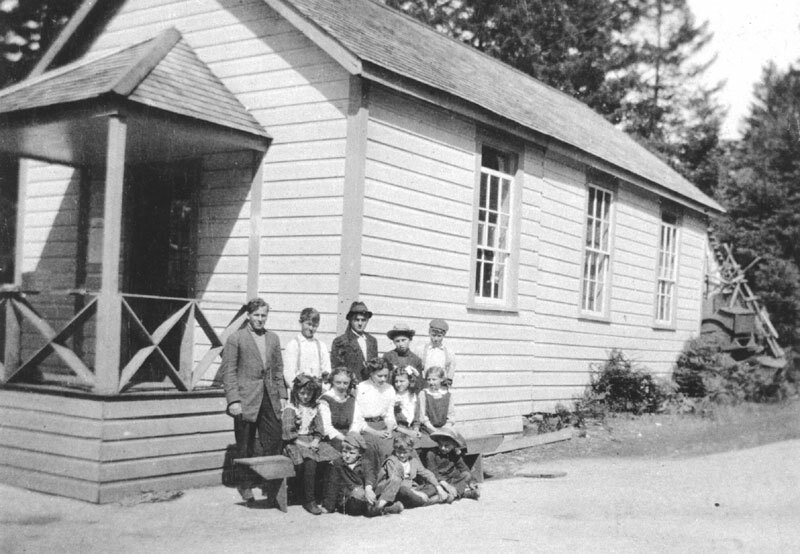 Photo of North Gabriola School in 1909 with teacher and students standing in front of it. On the back (in red ink): "Top row L to R: Vera McConvey, Tina Rollo, Lena McConvey, Annie Easthom, Jim Rollo, Jack Easthom. Front row: Ellen Rollo, Isabelle Johnson, Henry Johnson, Tike Kuba, Henry Easthom. Teacher: Lillian Roft." 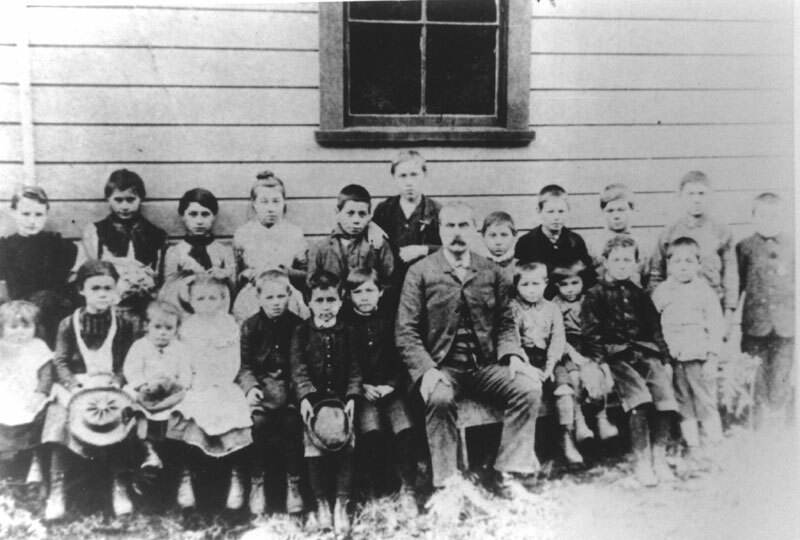 Photo of school children sitting in front of a building. A man sits among them. Written on the back, "Turn of century? No other details." 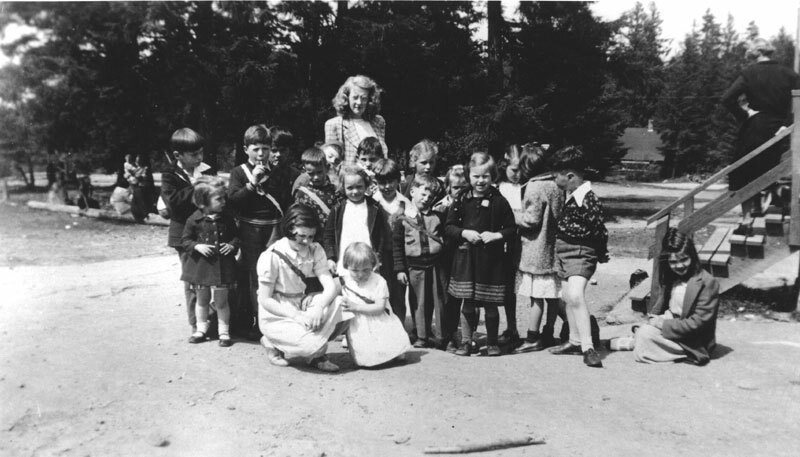 Black and white photo of a group of children standing and sitting in front of the North Gabriola School. The school burnt down in 1927. Gabriola children from the North School. 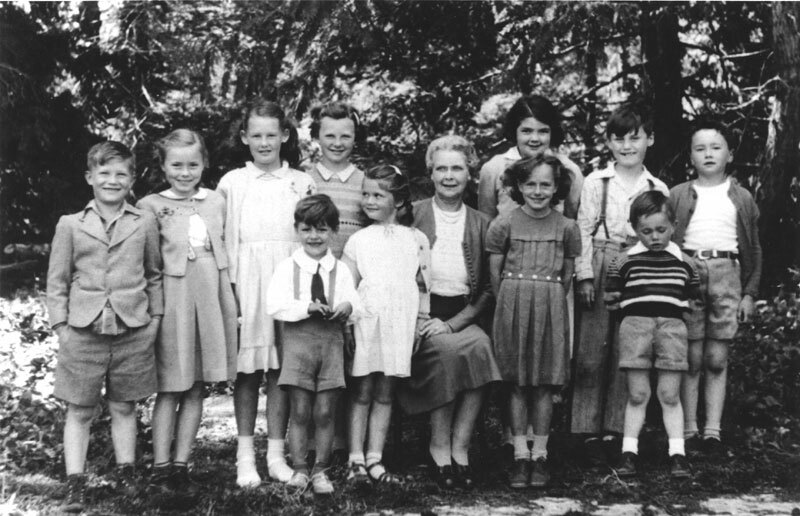 Margaret Tanner is third from left, back row; no other children identified. The black spots are ink blobs. Black and white photo of children fro the North End School in 1937. At bottom of picture: "Gabriola N.E. School 1937"
On back (blue-green ink): "Miss Caldwell + the Nth End school competes! The little girl in front of Juldy (Hiley?) was there for the day while her mother went to town, the Post Office is in the background." And, "P.O. was then the 'lean-to" at the Texaco house." Heather Coats is left of Miss Caldwell in the photo. Boy in the short pants is possibly Pat Hiley. Clyde Coats stands a bit behind and to the left of Judy Hiley. 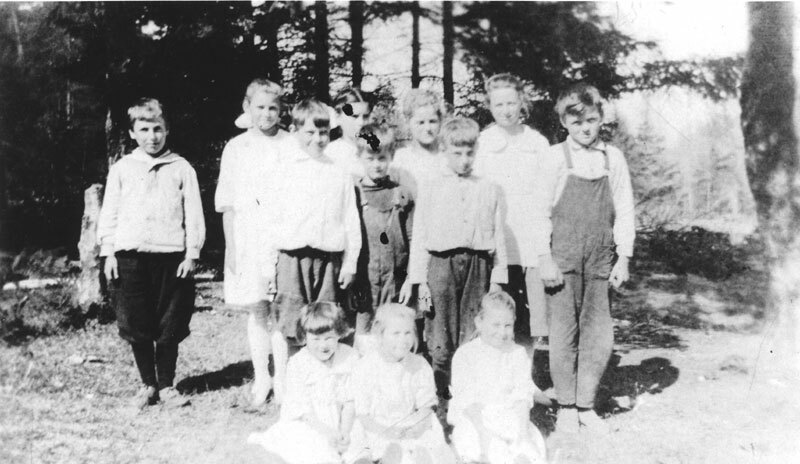 Black and white photo of eleven children, all identified, with Mrs. Band (a Sunday school teachers) at what could be a birthday party or Sunday school. All South End School children. 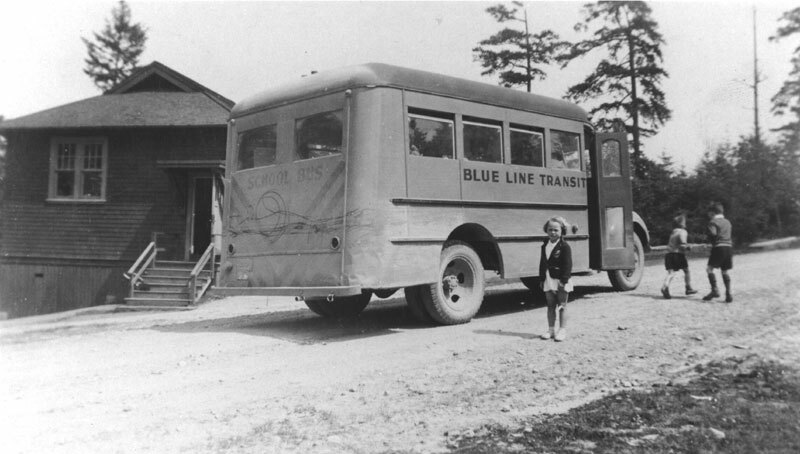 Black and white photo of a child standing by bus, which says, Blue Line Transit. This is parked outside the North School which is currently the W.I. Hall. On back, in fading ink: "This is the school and the school bus." Girl standing beside the bus is Judy Hiley. No date. Gabriola School. 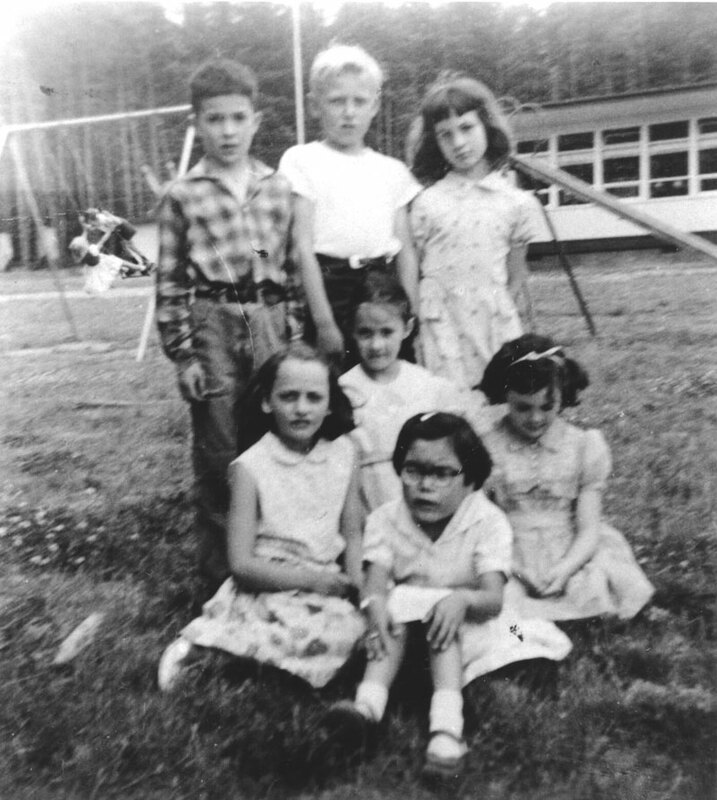 Grade 3 children in 1958.